Do you EAT for volume?! 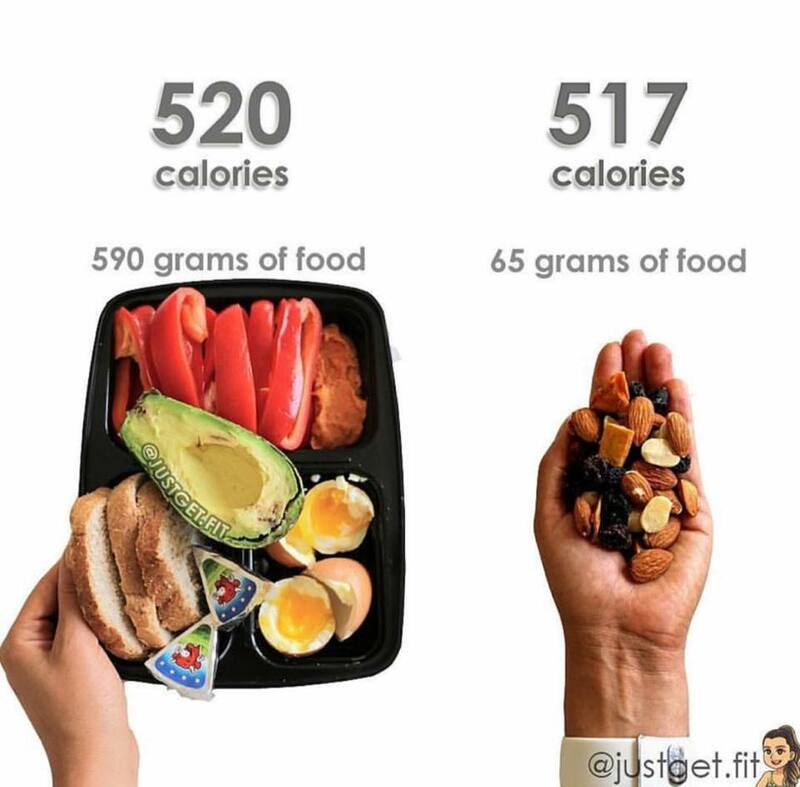 I love this comparison of meals… both healthy food choices, but one is wayyy more filling. Both are nutrient dense but think about how you would feel after a handful of trail mix, vs the eggs, avocado, bell pepper blend?! This entry was posted in Miscellaneous, Nutrition and tagged clean eating, diet tips, flexible dieting, volume eating, weight loss on December 3, 2017 by danielle.